MILWAUKEE — Dwayne Wade is expected to be back in the lineup Tuesday night when the Cleveland Cavaliers oppose the Milwaukee Bucks at the Bradley Center. Wade, who played in the arena while at Marquette, sat out the Cavs’ game Sunday at Washington. It was the second half of a back-to-back set, and coach Tyronn Lue is managing the 35-year-old’s workload. Tristan Thompson, who had been managing a left calf injury, played 14 minutes against Washington and is expected to see against the Bucks, too, as the Cavaliers (23-8) try to close the gap on the Boston Celtics (26-7) for the top spot in the Eastern Conference. The 106-99 victory over the Wizards was Cleveland’s fifth win in a row, and it featured LeBron James’ third consecutive triple-double. James finished with 20 points, 12 rebounds and 15 assists in 41 minutes, but that stat line wasn’t enough to impress him. The Cavaliers have won 18 of their past 19 games, making them the league’s hottest team at the moment. However, they have hardly practiced at all during that stretch, with Lue choosing to focus more on film work than running the NBA’s oldest team through drills. “He trusts in us that we’re going to get our work done even when we’re not practicing, which we do,” James told the Cleveland Plain-Dealer. “Guys are in here on off days every single time we have an off day. When we don’t practice, guys are in here working on their game, and he just trusts us that we’re going to be ready to go in the games, because we don’t have much practice time. James is third in the league with an average of 27.8 points per game. In second is Milwaukee’s Giannis Antetokounmpo (29.8 ppg). Antetokounmpo is averaging 32.7 points and 12.7 rebounds (4.3 offensive) with 5.0 assists and 2.3 steals during the Bucks’ current losing streak, which grew to three games after a 115-111 loss Saturday at Houston. Milwaukee is still reeling from a list of injuries, especially on its bench. Mirza Teletovic (lungs) and Matthew Dellavedova (knee) both have been out for a month. Jason Terry has been sidelined because of a strained calf, and now Tony Snell has missed five games because of left knee tendinitis. The absence of that group has decimated Milwaukee’s 3-point shooting. He Bucks were hitting 36.5 percent of their 24.3 attempts per game before the injury bug. Now with Snell out as well, they have dropped to 20th in the league with a 35.5 percent 3-point shooting rate. 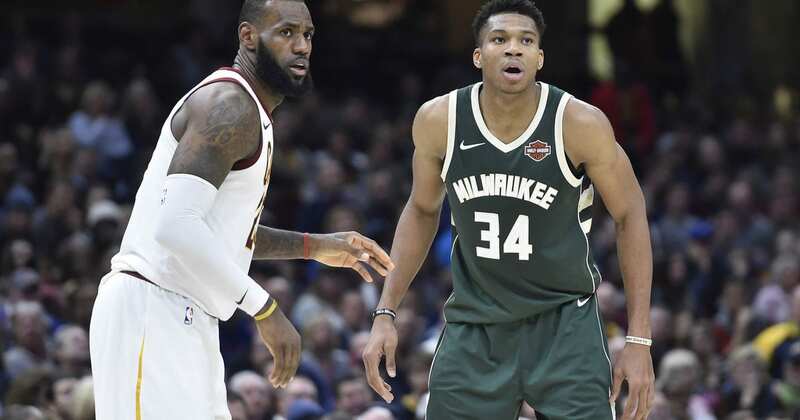 “Right now for some reason we’re just not making open shots, but we’ve got to keep getting those shots and hopefully they turn into makes,” Bucks coach Jason Kidd said. The Cavs took the first two meetings with the Bucks this season and have won five in a row against Milwaukee overall.